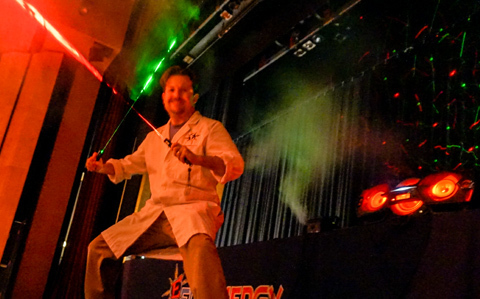 Maryland science entertainer Eric Energy offers live interactive science shows for kids, school assemblies, birthday parties, summer camps and special events in Maryland and Washington DC. Team Eric Energy The Art Of Making Learning Fun! Eric Energy Kid's Interactive Science Shows help make learning fun for summer camps, birthday parties, STEM nights and pre-school events. PTA assembly and School STEM night Science Shows for Kids! 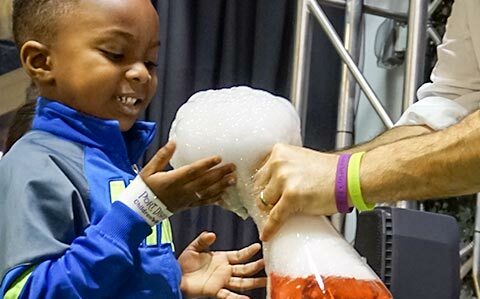 Great interactive kid's science shows for PTA and Howard County, Prince Georges County, Montgomery County, Baltimore County, Baltimore City school STEM night events. Our kid's science shows are designed to create lasting memories for your special event. "We had Eric Energy as the entertainment for our community Halloween party last night. In the 30 plus years we’ve hosted the party, he was by far the best show we’ve ever had. With over 200 people in attendance, he kept the kids engaged and the adults entertained." "What a great show! Our families, teachers, and best of all our children loved your program. I loved how you got every child involved in our show. The children learned a lot and had a great time. Thank you again!" 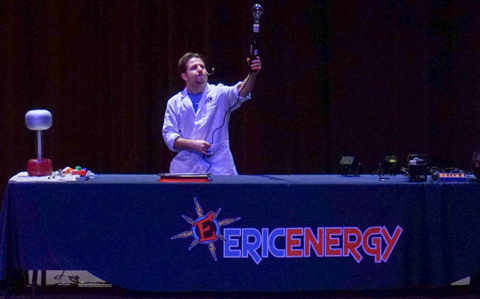 Find Maryland Science Entertainer, Eric Energy offering Kids Science Shows in Ellicott City, Columbia, Baltimore, Pennsylvania, Virginia, Washington DC and surrounding areas. Select one of our great kid's birthday packages or have a science show custom designed for you today! The Art of Making Learning Fun Meet Our Science Show Team! 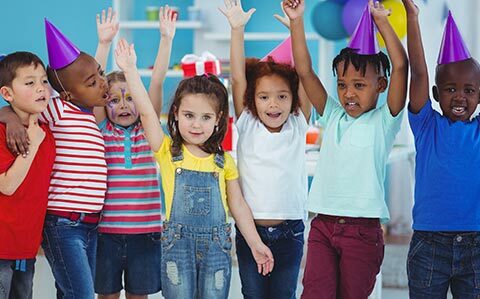 Bring our HIGH ENERGY SCIENCE INSTRUCTORS AND ENTERTAINERS to your next preschool, elementary school and special birthday party event in the in Ellicott City, Columbia, Baltimore, Pennsylvania, Virginia, Washington DC areas and see how much FUN learning can be with a kids science show! 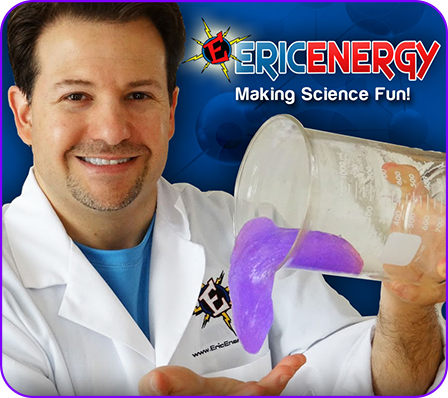 Interactive Kid's Science Shows Join the Eric Energy Fan Club! Get the latest science shows for kids news from Eric Energy!